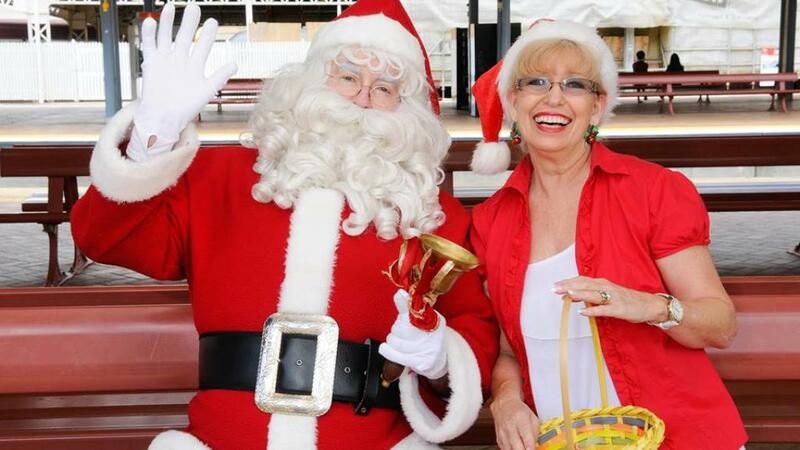 From 11-15 December, Santa swapped his sleigh for a train, boarding the Santa Express across the South East Queensland rail network. Spreading Christmas cheer to families travelling by train this festive season, Santa joined a jolly journey on Citytrain lines according to Queensland Rail. Santa will swap his sleigh for a train this festive season, boarding the 'Santa Express' to spread Christmas cheer right across the South East Queensland rail network from 11-15 December 2017. Executive General Manager Citytrain Nick King said that Queensland Rail was excited to roll out the red carpet for their special guest. "Santa is a very busy man, but he made a special exception to join us on the Santa Express ahead of the busiest day of the year," Mr King said. "This year, Santa boarded selected scheduled services across all lines and stopped at key stations to make sure every well-mannered boy and girl had the chance to meet him. "Children were also able to get a photo with Santa, as parents were encouraged to bring along their cameras to capture the special moment. "Those coming along for the ride only needed a standard paper ticket or valid go card, as normal fares applied. Families could also turn up to their local station when Santa was scheduled to be there, to meet the jolly man for free. "The Santa Express was a great opportunity for families looking for a fun day out during the school holidays, with children, parents, grandparents and friends welcome to come and enjoy some Christmas cheer. "Along with Santa travelling across the network, The Salvation Army brass band will be performing Christmas carols at Central station from 6.45 am – 8.15 am on weekdays 14-22 December, to help our morning commuters welcome in the festive season," Mr King said.